Are tired of being dusted in every race? Do you want to know what the secrets to creating the deadliest racing car on the streets are? Your performance on the race tracks and your ability to complete missions in Eat My Dust is highly depended on how you put together your racing machine. Check out some of Wrench’s tips below and start building your killing machine to bring glory to your team! Speed is obviously one of the most important functions you need to pay attention to. As you rank up, you can unlock special car components that can help you enhance the speed and acceleration of your car dramatically. However, you should also consider boosting your offroad and handling specifications as it is important to learn how to control your car so you don’t end up flying off the road or crashing into obstacles because you were driving too fast. Also, switching up your driver can also help you boost your cars performance. You can pick from Ninja heads, to pumpkin heads, to skulls. However, be sure to try out a few different drivers to find the one that best suits your technique and skills. 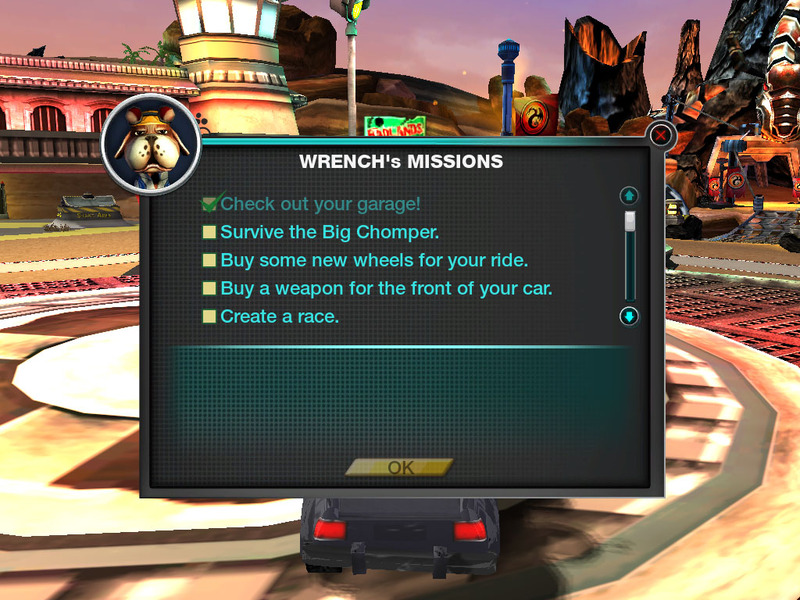 Lastly, gear up your car with the fiercest weapon you can find and start terminating the zombies! Beating your buddies’ race time can be so much easier if you have the best combination to wipe out your competition. Let the other racers eat your dust in the next race! 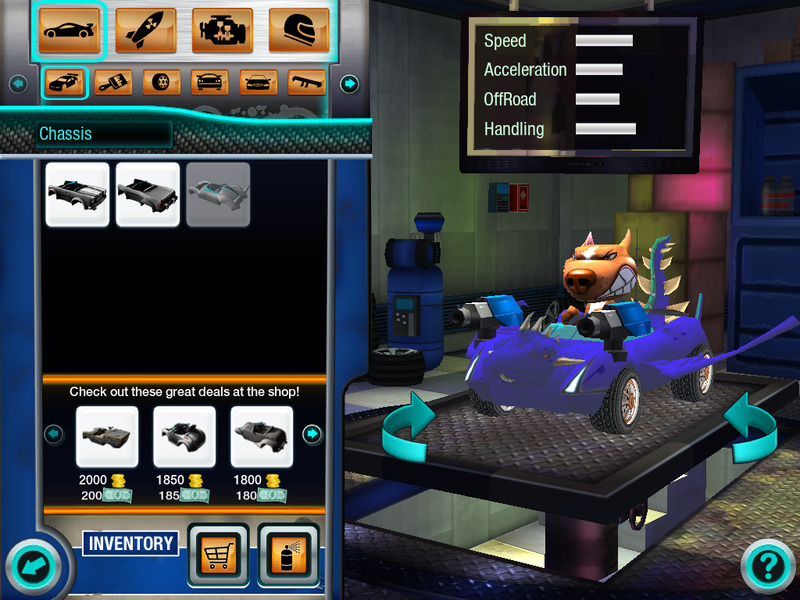 Head over to the Mechanic Shop today and suit up your car with gears to speed up! Wrench’s Fact- What’s your Racing Style? Whether you realize it or not, each racer has their own style when it comes to winning a race. As you’ll see, each of these racing styles has their own weaknesses and strengths. However, you will often find that the racers who consistently finish near the top have chosen a style that fits their personality and then, through hard work and perseverance, perfected it by minimizing its weaknesses and maximizing its strengths. Run and Gun racers provide some of the most interesting races on the tracks. Their primary goal each race is to stay in the thick of the action by constantly shooting their opponents and staying with the pack. These racers live for thrill of dusting their opponents and gradually pulling ahead after devastating their opponents. To hang with this crowd, you must be one tough cookie! Lead Drivers are their own special breed. This select group solely relies on speed and handling. Rather than collecting ammo, they focus on amassing as much nitro as they can in order to gain a large lead. These racers are unconcerned with their opponents and ignore retaliation because they are so intent on achieving maximum speed and working their way to a massive lead. However, lead drivers tend to struggle and lose close races if they can’t establish a big lead. Support drivers are by far the rarest type found on the race track. Support drivers usually work as a team with a lead driver or two and focus on helping them win the race. Rather than seeking glory for themselves, Support drivers use their weapons and cunning to slow down other racers allowing their teammates focus on building a substantial lead. These team players are not concerned with earning the top podium spot for themselves but rather seek to better their team as a whole. Late Bloomers are all about high risk and high reward. Easily the source of the most exciting finishes, Late Bloomers focus on establishing their lead as late as possible. These racers stay in the middle of the pack for most of the race, but unlike Run and Gun racers, they keep a low profile. Because they are often overlooked and typically don’t surface as a threat until late in the race, Late Bloomers lull their opponents into a false sense of security. However, during the last half lap or so, these drivers spring into action and do whatever it takes to eek out a win. Now that you know a little bit more about these different racing styles, be sure to head out to the track and try them out. Once you find a style that suits your personality best, make sure to practice it and build your car in a way that can maximize its strengths. Do tracks with lots of curves and turns scare you? Do you often find yourself falling behind on those tight corners? Most racers don’t realize that making the perfect turn isn’t all about handling- in fact, all aspects of the car contribute to its ability to round a corner. When approaching a corner, be sure to take an exterior approach. This means that if you are turning left, you should be on the far right side of the track. Taking an exterior approach will help to decrease the angle of the turn, allowing you to maintain a higher speed. Surprisingly, when rounding a corner, you should apply your brakes as late as possible but before you actually start to turn. By driving straight and slowing down rapidly, your car will slow down faster. However be sure not to brake too much! As you enter the curve, accelerate enough to maintain a constant speed throughout the turn. This is where your car’s suspension and handling will make an impact. A car’s handling directly impacts the speed at which it can make a turn. Similarly, a car’s suspension will help to keep all of the tires on the ground, although too much suspension can make it difficult to control. Once you are ready to start exiting the turn, be sure to progressively increase your acceleration while decreasing your turning. Also, try one of the knock out races for an extra challenge. Let me know how you do!